Protestors who are against some provisions of the law, their grievances need to be heard and the implementation of the law has to be temporarily deferred until issues of concern are thoroughly addressed by the Philippine government. 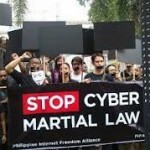 The government must bear in mind that part of its responsibility is to connect and explore the true sentiments of the affected internet users through proper dialogue and consultation. The Philippines being a democratic country, the government is duty bound to observe maximum tolerance in dealing issues of public interest and encourage its citizens from expressing their thoughts without the fear of reprisal. Senator Teofisto Guingona III, the lone opposition of the law in the senate, has vowed that he will continue to support the citizenry in their fight and to ask the Supreme Court for a temporary restraining order (TRO), to finally repeal some vague and oppressive provisions of the newly-enacted law. 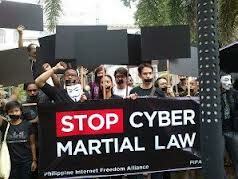 Guingona in his petition urged the high court to resolve the issues immediately to prevent further harm to the internet users. Earlier, Senator Francis ‘Chiz’ Escudero admitted that some of the provisions in the law have been scrutinized properly, specifically Section 4 which provides imprisonment as penalty to libel. Escudero has filed an amendatory measure to correct the law, ‘instead of criminal liability in libel it should be only civil, damages only and not imprisonment,’ Escudero said. Today, October 3, starts the implementation of the law.